With Apple’s big developer conference getting underway this morning, we expect to hear more news of Apple exclusives. 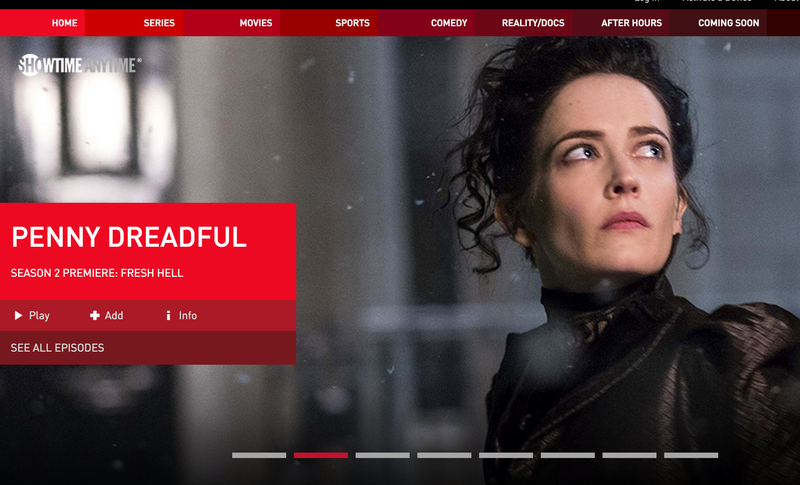 But fans of Penny Dreadful and Homeland who aren’t into the whole Apple ecosystem thing get a nice bonus this morning, as we find out that something isn’t actually locked only to Apple’s world. We already knew that the streaming Showtime option would cost $11 and launch in July, but it seemed, like HBO Now before it, to be a timed Apple TV exclusive. But no! It turns out that Showtime — that’s the internet one, not the cable one — will launch simultaneously not only on Apple TV but also on Roku platforms and Sony’s PlayStation Vue service. Going to where the viewers are is indeed not only a good strategy for the future, but likely the only successful one. Pay TV subscriber rates are dropping, but everyone still likes to binge-watch prestige dramas. They just do it over the internet, instead. You can’t add Showtime (or any other premium channel) onto a cable or satellite package you don’t have, but if you’ve got shows people like to watch, and an internet service that’s easy and affordable for them to use, audiences may well follow.